Flat Out Storage Reels were made for the harsh Australian environment. 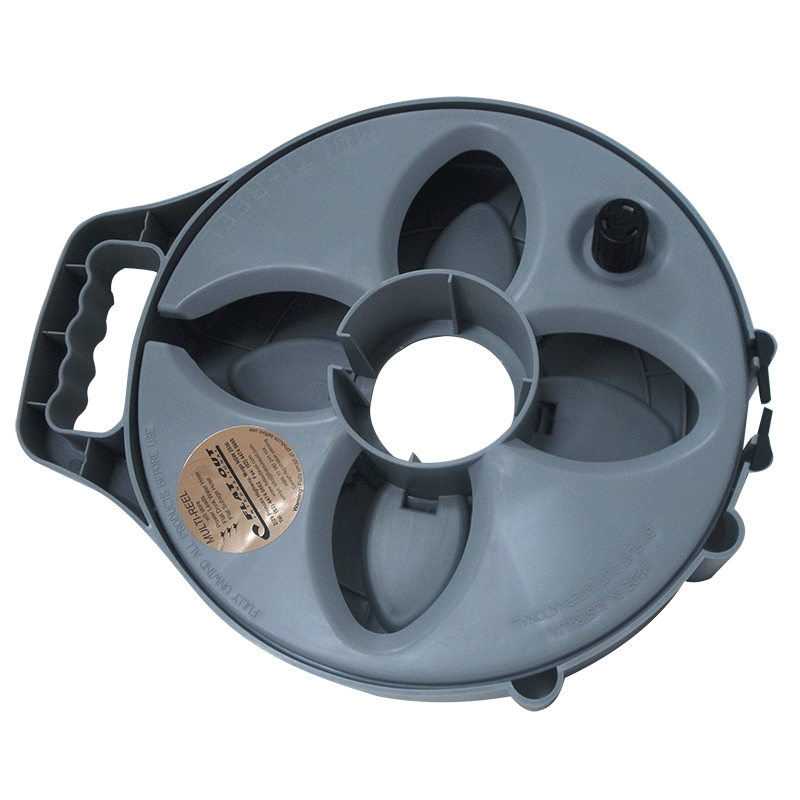 They are the ideal storage solution for electrical leads or any of the Flat Out Hoses. Made from a grey, impact resistant plastic, they feature a turning handle (to assist with winding up) & a grip handle for comfortable carrying. Great for domestic, travelling & even the construction industry, they come with a Flat Out limited 3 year guarantee. The Flat-Out Bare Compact Reel can hold up to 20m of heavy duty power lead. Allows neat and easy storage (no more knots and kinks) simply wind away. I have used this compact storage reel to store electrical extension cords, not just to keep them tidy, but also to save space where space is at a premium in a caravan. They do the job very well.